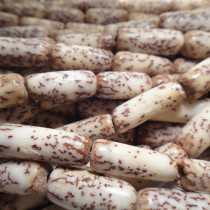 The Salwag seed beads are normally carved to shape from the nut of the Salwag palm tree. 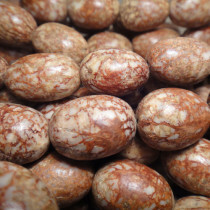 The raw form is spherical in shape generally about 9mm in size. 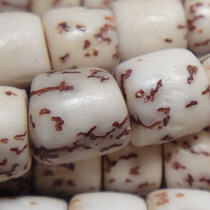 These seed beads are off-white with black veining. Salwag Seed Beads Pokalet 5x6mm (~78pce Strand) - 40cm/16'" Strand. Salwag Seed Beads Tube ~15x6mm (~24pce Strand) - 40cm/16'" Strand. Salwag Seed Beads Oval ~16x12mm (~26pce Strand) - 40cm/16'" Strand.